A portable grill for outdoor parties doesn’t really have to be packed with features. It can be as simple as ever, as long as it is compact, lightweight, and portable. For this reason, a lot of people have chosen either Weber Q 140 or Weber Q1400 for their outdoor grill. They are also quite affordable and budget-friendly. 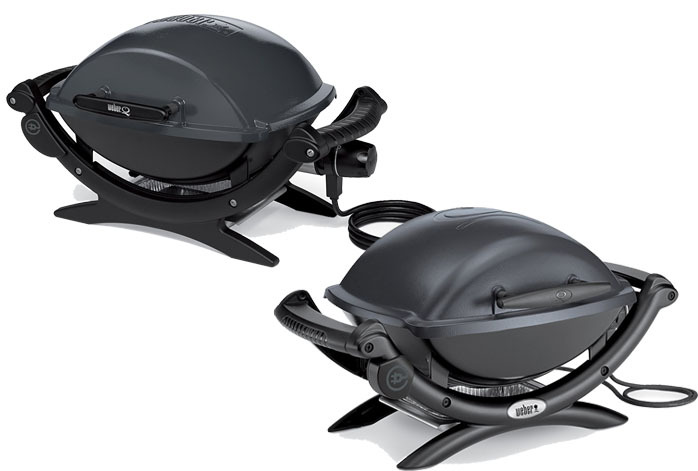 So, now, between Weber Q 140 and Weber Q1400, which is the one that you should get? For your information, Weber Q1400 is actually an update for Weber Q 140. Hence, there is no need to wonder why the two products appear to be very similar to each other. Each of Weber Q 140 and Weber Q1400 has 189 square inches total cooking area. Such cooking area allows you to cook up to eight hamburger patties at once, making Weber Q 140 and Weber Q1400 excellent choices if you usually serve less than ten people. Both of them are electric grills, which means that you don’t need to bother with gas tank replacements. You simply plug in the power cord, and you are good to go cooking! Each of the two models is powered by a 1560-Watt electric heating element that functions very well; they cook quickly and evenly across the cooking surface. Weber Q 140 and Weber Q1400 are roughly of the same size, as they each is 20.5 inches long, 27 inches wide, and 23.5 inches high. Each also has a 6-foot grounded electrical power cord. Both models feature porcelain-enameled cast-iron cooking grates that are very rugged and durable yet very easy to clean. There is a removable drip pan in each grill for easy waste discard and cleaning. Each is made of cast aluminum with a glass-reinforced nylon frame and an aluminum heat-retention liner. The only difference between the two models is that Weber Q1400 comes with an improved exterior design. As you can see, the handles differ from the ones on Weber Q 140. They are made for a better handling. Besides, the new model indeed looks better than the old model. There aren’t many changes from Weber Q 140 to Weber Q1400. Nonetheless, Weber Q1400 is indeed the best way to go, as it has an improved design for a more convenient handling compared to Weber Q 140.